Simulations are today widely used in all stages in the life cycle of a vessel or offshore unit. However, the potential of simulations is not fully utilized as the initial cost of establishing simulation models is considerable, and re-use of models is limited. Based on a standard developed by the automotive industry we aim to establish a standard also in the maritime industry, enabling re-use of models and collaborative system simulations. 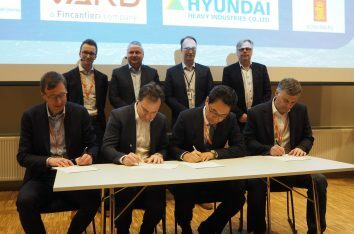 DNV GL, Rolls Royce Marine, SINTEF Ocean and NTNU as four initiators, have agreed to cooperate towards development of an open simulation platform technology in early 2018, to harness the possibilities that exists from working with so called “digital twins”. At the same time, a Joint Industry Project (JIP) has been launched with invitation to the industry globally for more participants, aiming at a wider involvement of the industry to create a solution solving the problems related to design, approval, integration, commissioning and operation of complex cyber-physical systems. A digital twin is a digital copy of a real ship/offshore unit, including its systems, which synthesizes the information available about the asset in a digital world. Using digital twins enable optimization of the design, maintenance, production and sustainability throughout its entire lifecycle. OSP is a joint industry project with the goal to establish a maritime industry standard for models and system simulation, which will also allow different parties to reuse simulation models and construct digital twins of existing and future asset, in a secure and more cost-efficient way. 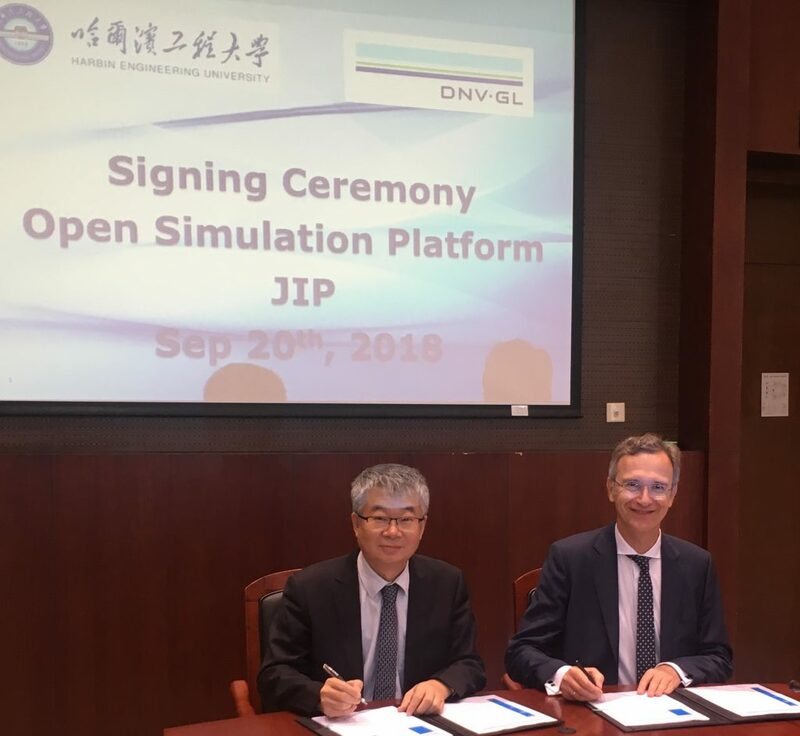 The output of the JIP will be a foundation for collaborative sharing of simulation models and an open industry platform for creating digital twins of products, systems and complete ship/offshore assets. HEU and CODIA onboard the JIP, we will be able to bring China as one of leading maritime nations into this global initiative and further support local industry benefit from the joint development and outcome in this joint industry project. th the application of more and more digital sensors and NFC in that equipment, digital twin technology will become possible. It is the chance and challenge to integrate and optimize all the Digital information of Offshore equipment and Marine vessels in their whole lives under general simulation models and standard to reach the “Digital Twin” Target. China Offshore(Deepsea) Industry Alliance (CODIA) is lucky to join OSP JIP for next step researching. CODIA will organize Chinese major resource in the field of Researching, Engineering, Core equipment manufacture, Shipyard and End User to participate this great system and basic project.” Says Mr. Pu Hongbin, General Secretary of CODIA. “The digital twin technology of naval architecture and ocean engineering will become the basis of intelligent ships and intelligent marine structures, and will give birth to new business configurations for shipbuilding, navigation, operation and maintenance. Harbin Engineering University has been committed to the research in this new field，and is willing to cooperate closely with international counterparts to create a better future.” says Prof. Xia Guihua, Deputy Party Secretary of HEU. “Ships and ship systems are progressively controlled by software and designers and builders face the problem of system integration not only on the mechanical but also on a software level. OSP aims to deliver a solution addressing the system integration challenge but also offers a path towards advanced system approval,” says Dr. Pierre C Sames, DNV GL Group Technology and Research Director.